World Nutella day was first celebrated on 5th Feb 2007 by an American blogger known as Sara Rosso. She loved the chocolate spread so much she decided that it deserved its own holiday. And Nutella fans loved it! 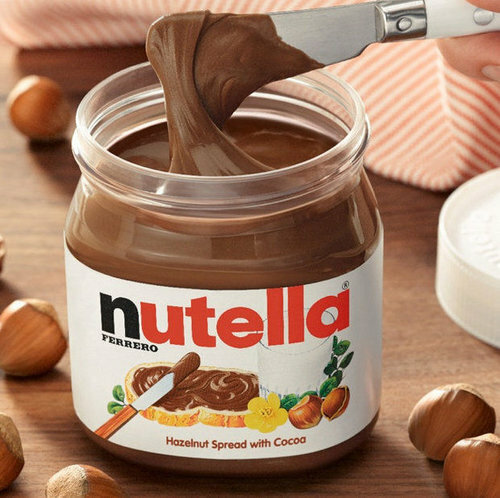 They came together from all over the world to celebrate their passion for Nutella on social media through photos, recipes and messages. "World Nutella® Day has become a global phenomenon with people sharing and spreading the wonder of Nutella® at home, work, and school; in their off- and on-line communities, with family, friends and fellow fans everywhere. 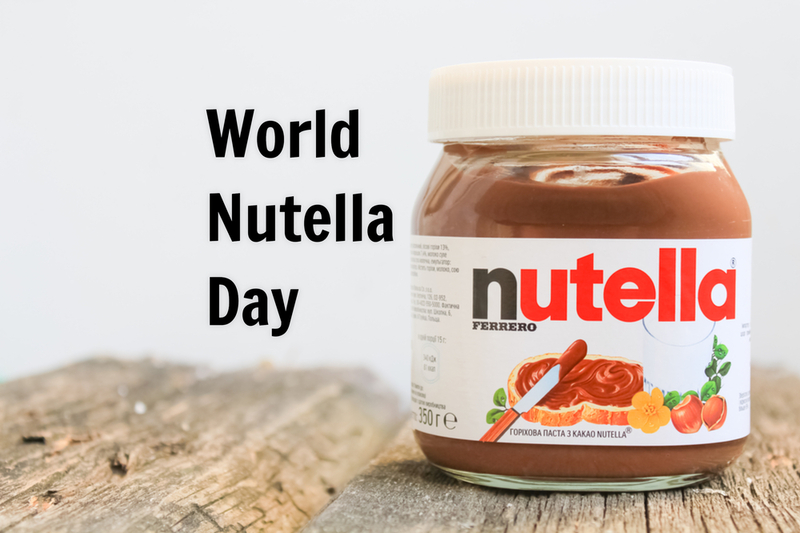 In 2015, Sara transferred World Nutella® Day to Ferrero (the makers of Nutella®) to help it live on and grow for years to come. HOW I GOT MY WIFE BACK HOME WITH THE HELP OF A REAL AND GENUINE ONLINE LOVE SPELL CALL/WHATSAPP +2349067457724. My name is Chuck Jones. I do not know how to thank GREAT Dr. Ocusodo for bringing happiness back to my family. i do really wanna tell the whole world that there is a spell caster called Dr. Ocusodo that is so real and genuine. I never believed in any of these things but when i lose my wife for 2 years, i required help until i found a great spell caster,and he assured me that I will get my wife back in just 28hours but i was in doubt, and after the spell has been cast, 28hours later, just as the spell caster said, my phone rang, and surprisingly it was my wife who has not called me for the past 2 years, and she made an apology for the pain she has caused me and she told me that she is ready to come back home for me. Dr. Ocusodo really made her know how much i loved and needed her. And he also opened her eyes to picture how much love we have to share together. I will keep sharing this testimony all over the world. All thanks goes to Dr. Ocusodo for the good work that he has done for me. Contact him now because he is very powerful and he will always help you. Believe him and do all he ask you to do and never doubt him in any way.his email: drocusodospellcaster@gmail.com or drocusodospellcaster@yahoo.com or WhatsApp or call him now: +2349067457724. My name is SHERRY WALJER from USA Massachusetts, i want to testify to the general public how my relationship was restored back by the great power's of Dr Larry after three months of loneliness, my ex-lover called me after my contact with Dr Larry that he want us to come back and start a good home, now we are happily together again as lovers. All thanks to Dr Larry who did a love spell for me for my ex lover to return home. I will keep sharing this until people who also need help see this for his wonderful help. You can contact him on his via email assurancesolutionhome@gmail.com or whatsapp him on +1(424)-261-8520. After being in relationship with Harry for Five years, he broke up with me, I did everything possible to bring him back but all was in vain, I wanted him back so much because of the love I have for him, I begged him with everything, I made promises but he refused. but one day I explained my problem to someone online and she suggested that I should rather contact a spell caster that could help me cast a return love spell to bring him back but I am the type that never believed in love spell, I had no choice than to try it, I emailed the spell caster, and he responded and told me there was no problem that everything will be fine and ok before three days that my ex will return to me before three days, he cast the spell and surprisingly in the second day, it was around 11 AM. My ex called me I was so surprised, I answered the call and all he said was that he was so sorry for everything that happened, that he wanted me to return to him, that he loves me so much. I was so happy and went to him, that was how we started living together happily again. Since then, I have made promise that anybody I know that have a relationship problem, I would be of help to such person by referring him or her to the only real and powerful spell caster who helped me with my own problem and who is different from all the fake ones out there. Anybody could need the help of the spell caster, his email: droboitespellcaster@gmail.com you can email him or called him on his phone number or WhatsaPP +2348167554235 if you need his assistance in your relationship or anything. I CAN NEVER STOP TALKING ABOUT YOU SIR HIS EMAIL ADDRESS IS: droboitespellcaster@gmail.com CONTACT HIM NOW FOR SOLUTION TO ALL YOUR PROBLEMS.